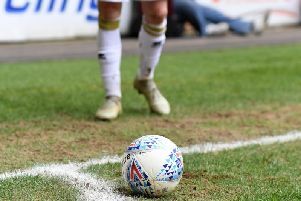 His first goal for MK Dons may have been a spectacular one, but Jake Hesketh said it was hard to enjoy it after losing 3-2 to Swindon on Saturday. The 22-year-old on loan from Southampton netted a wonderful equaliser on the hour-mark as Dons sought to cancel out Michael Doughty's first half opener. But barely had the game restarted following Hesketh's strike than Swindon retook the lead when Keshi Anderson's fierce effort beat Lee Nicholls. Doughty added a penalty 11 minutes later to resign Dons to their fifth defeat in six matches. "It's nice to score, but it means nothing at the end of the day," said Hesketh. "It takes the shine off – it's nowhere near as enjoyable. It's one of those things. "I think I did some good things, some things I need to work on, I'm still settling into a new team and a new way of playing, but the lads have made it really easy. "I'd moved out to the right of the diamond as the game went on, and it gave me the opportunity to cut inside. "We felt after the equaliser we were back in it, so to concede so soon after wasn't ideal. But we bounced back and got right back on the front foot." Arriving on transfer deadline day, Hesketh featured at Exeter as a substitute before making his first start for the club on Saturday against Swindon. While the team's latest defeat saw them drop out of the play-off spots, Hesketh believes the team still harbour ambitions to be playing in League 1 next season. He said: "Every team goes through bad patches but the group is confident, and they've shown all season they're good enough to be up there and I'm sure it will turn soon and we'll be back fighting for promotion. "I just want to do the best I can for the team. The aim is to get us up and that's what I'm trying to contribute towards."